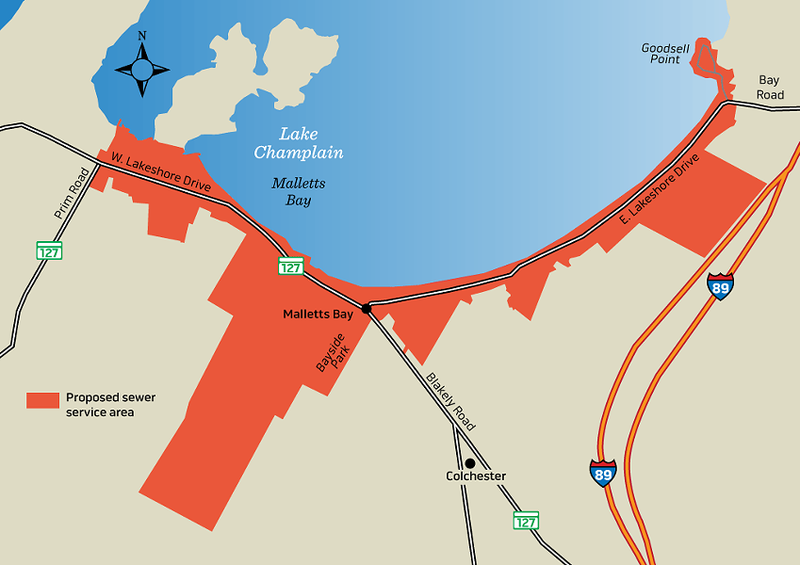 Colchester voters flushed a proposed $14.3 million sewer line for Malletts Bay Tuesday by a vote of 1,396 to 1,203. The defeat by fewer than 200 votes was a disappointment, Town Manager Aaron Frank said Tuesday night. "The selectboard will have to take a pause, do some reflection and figure out where do we go from here,” Frank said. 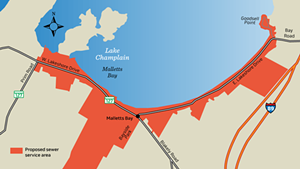 Inadequate private septic systems at homes and camps along the bay can leak human waste into the water, a problem the proposed sewer line was intended to mitigate. But critics said it was an expensive project that wouldn't actually solve complex pollution problems in the scenic and heavily used bay. They also worried the sewer line would accelerate development.